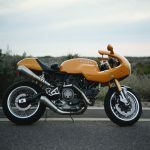 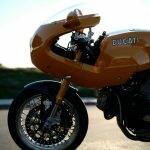 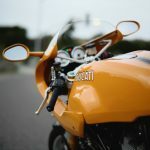 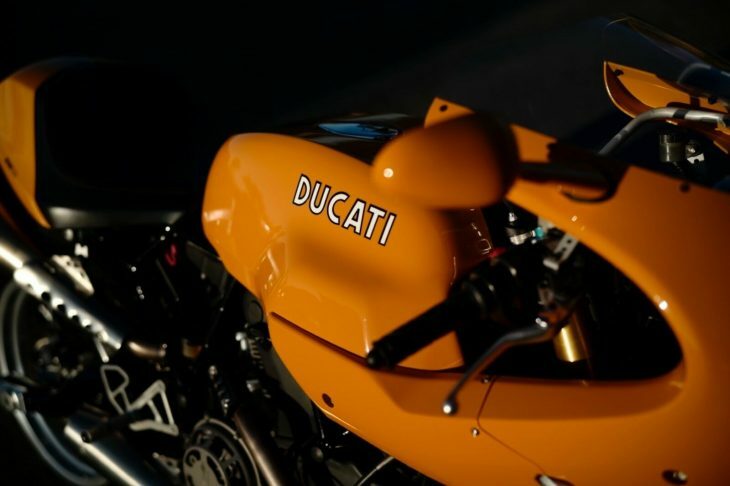 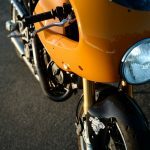 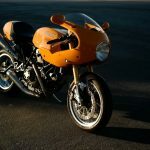 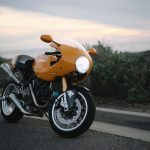 Ducati's long history of a 750 Supersport continued from 1973 into the early 21st century but finally relinquished the entry-level side of the showroom to the Monster. 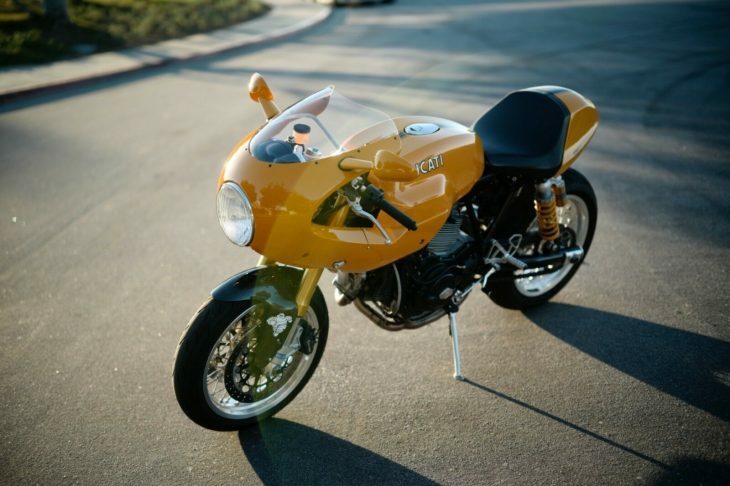 Presented here is a near-perfect example of the last generation of 750SS, simple, lightweight, beautiful, and promising fun. 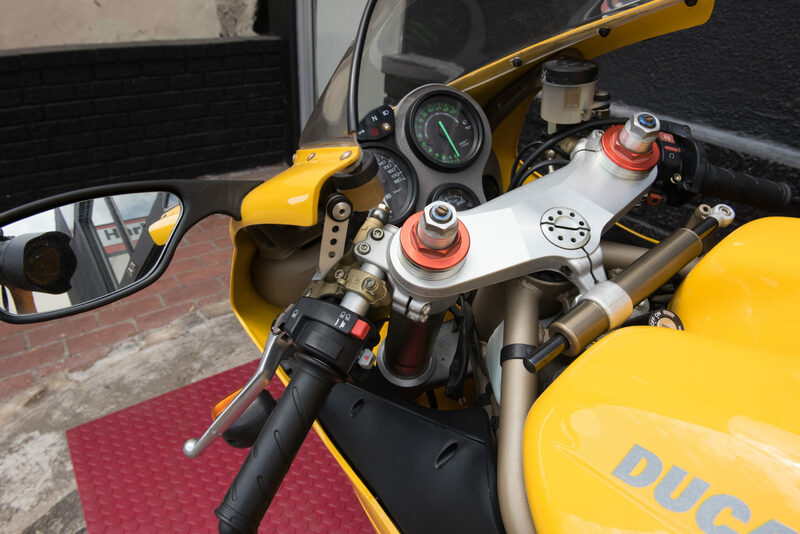 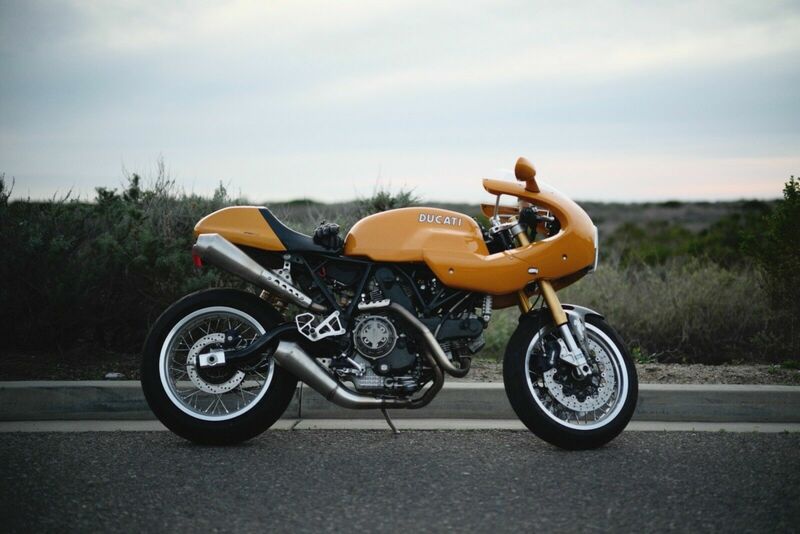 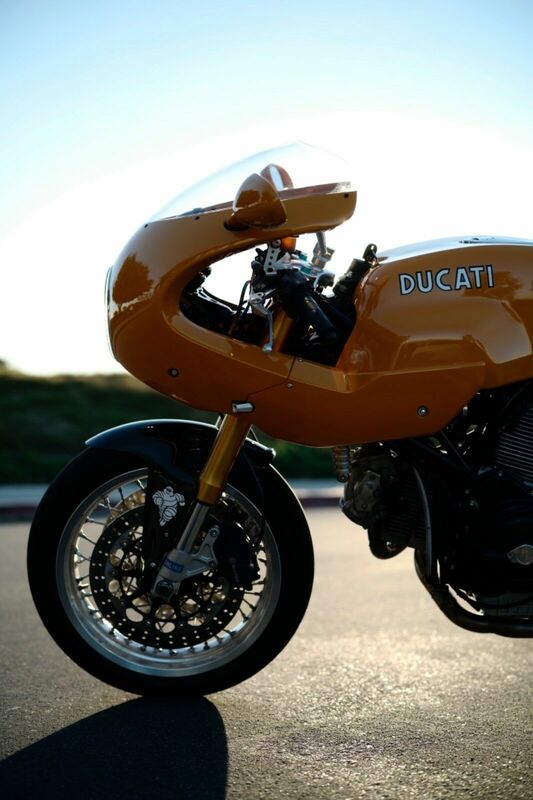 The tried and true 748cc desmodue was under the gold trellis frame, and put forth 64 hp. 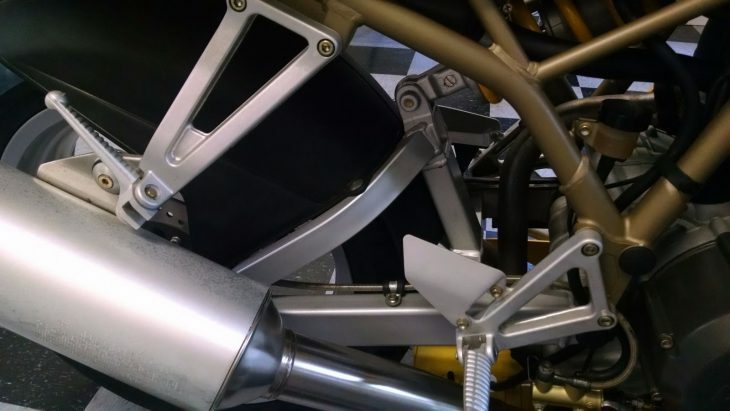 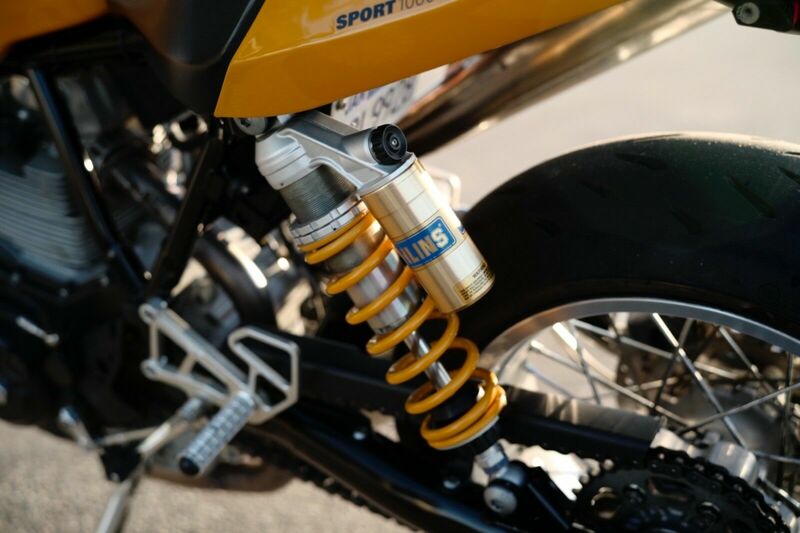 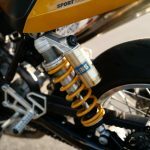 Certainly serviceable, the Showa forks and Sachs monoshock are ripe for an upgrade. 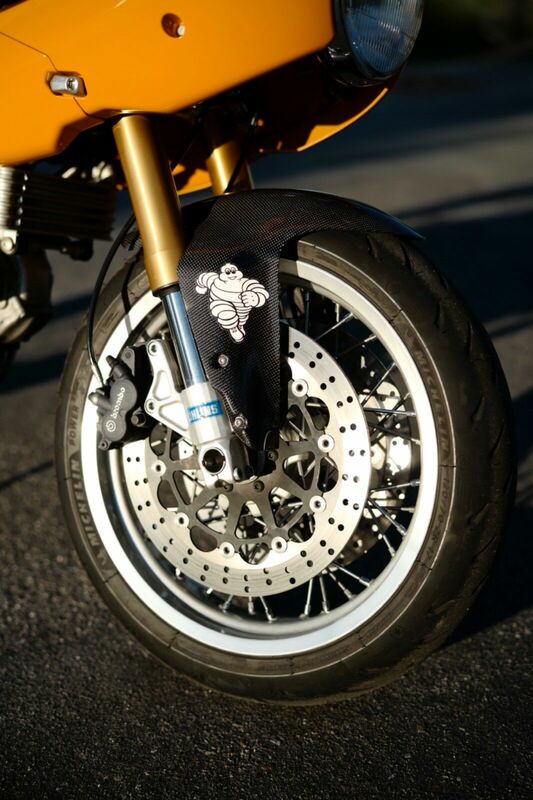 Not so the excellent Brembo brakes, 320mm semi-floating front discs under 4-pot calipers, with single 245 mm rear. 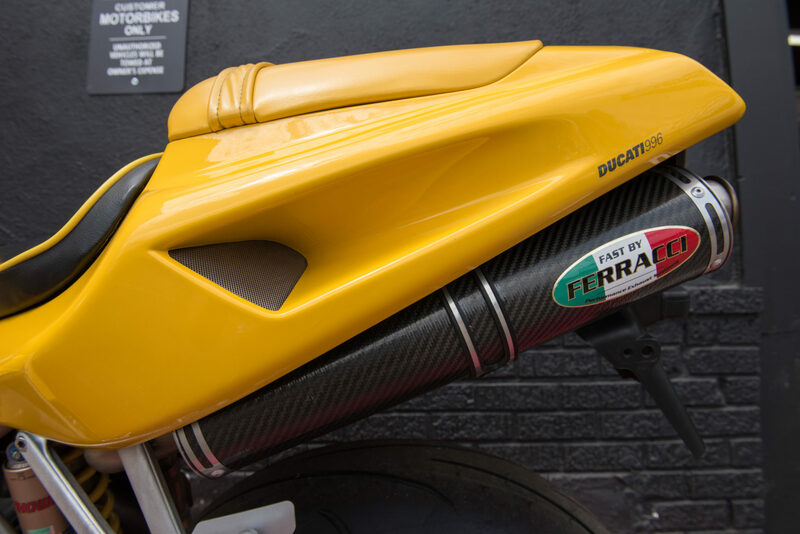 The very sculptural styling was done by Pierre Terblanche for the 1999 model year, and though controversial at the time, seems to be back in vogue. 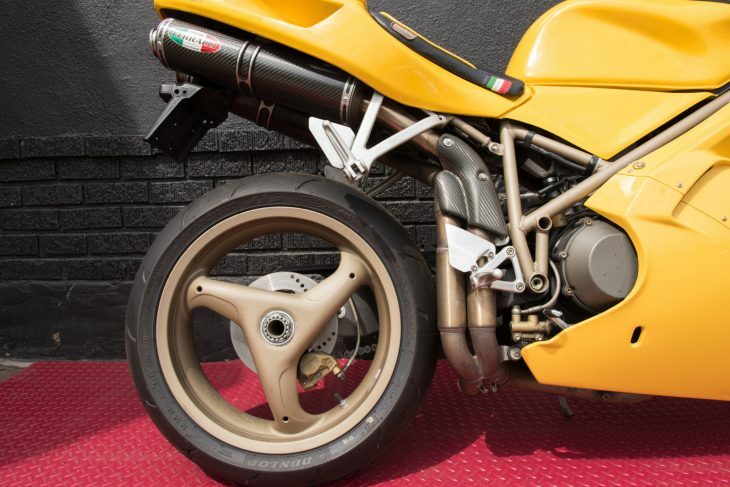 New condition 750 SuperSport. 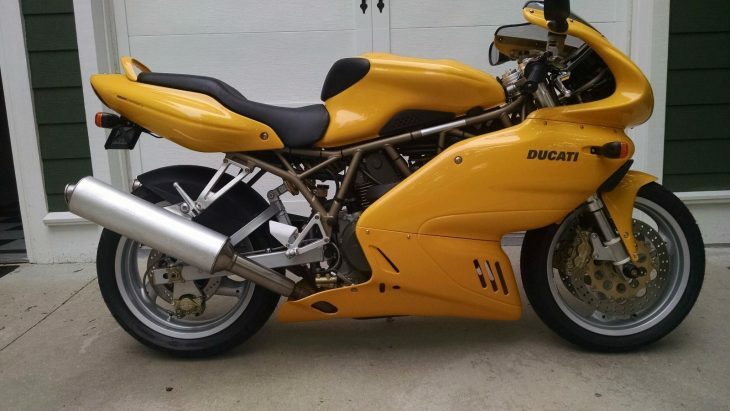 Not a mark on the bike, is absolutely beautiful, showroom condition. 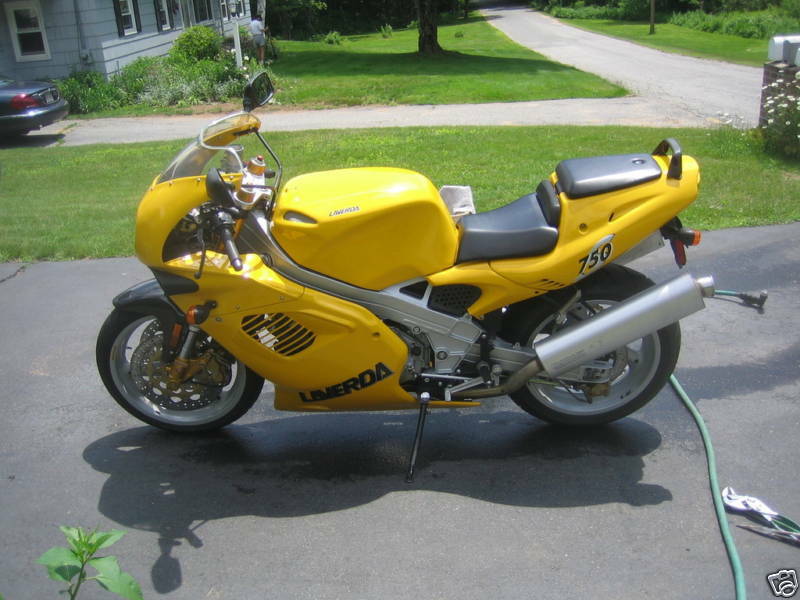 Averaged 400 miles per year. 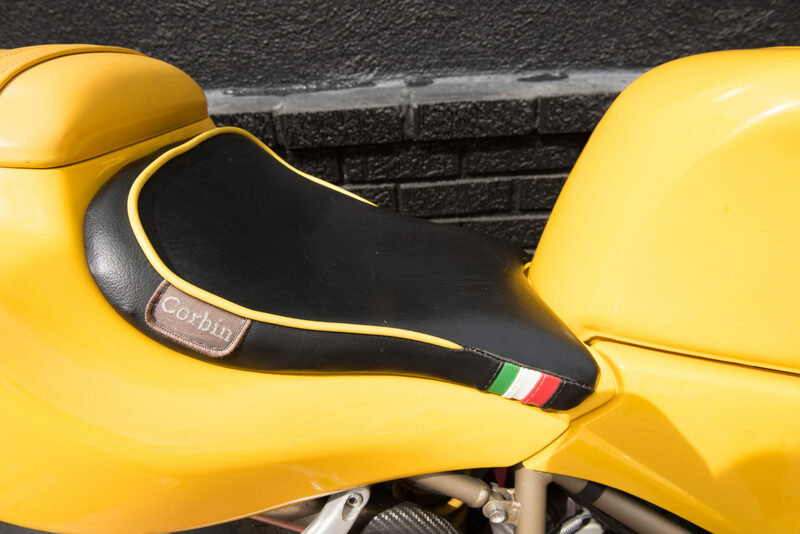 I am the 2nd owner and purchased from an older gentleman who just did not ride the bike due to the seat/handlebar racing position. 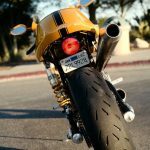 I have placed less than 25 miles on the bike since owning, 10/2015. 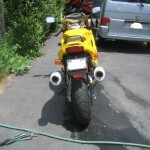 Has been garage kept, covered and on trickle charger. 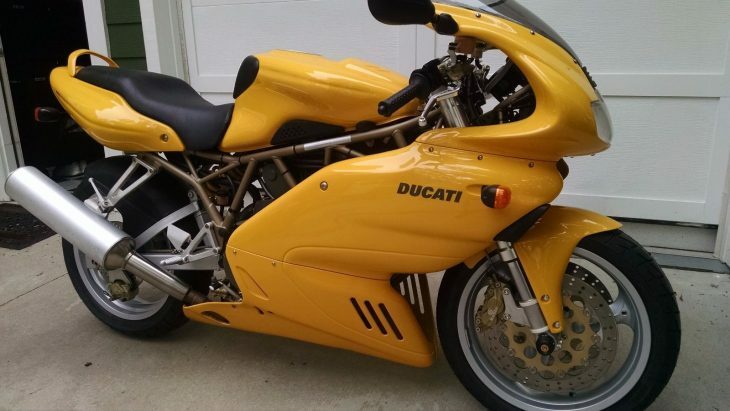 The bike is faster than I want to ride and handles beyond amazing. 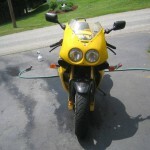 Images speak for the condition but glad to answer any questions by email or phone. 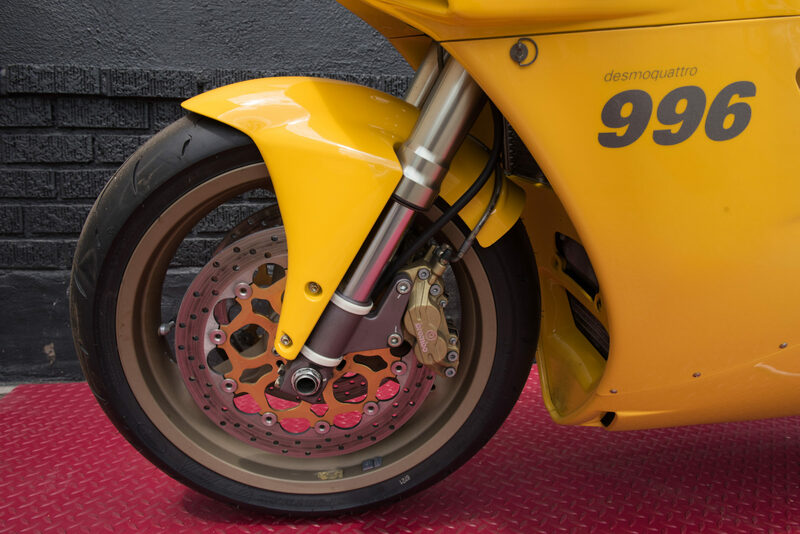 Shifts perfect, clutch and brakes perform like new. 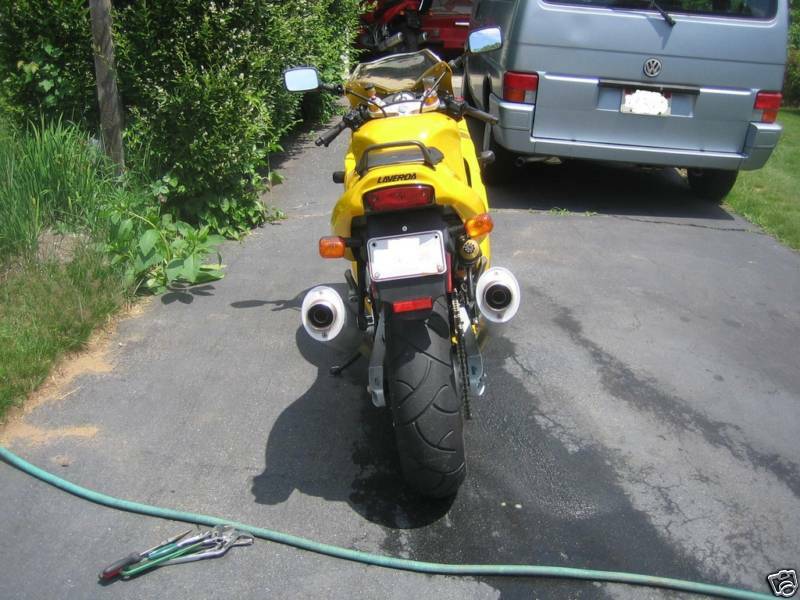 Bike is in perfect condition. 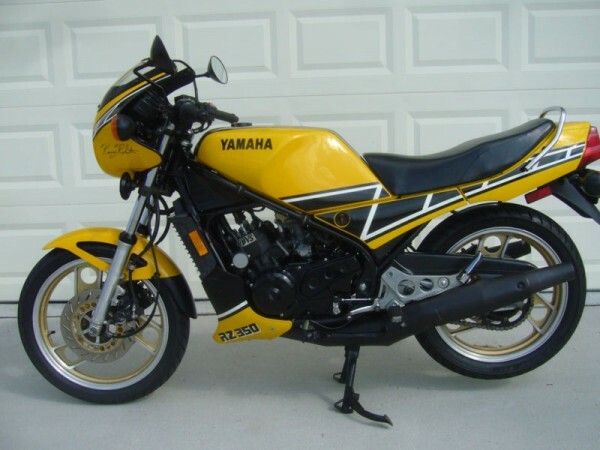 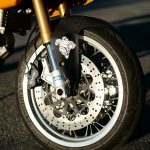 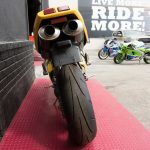 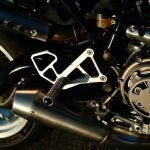 We always see a huge response on the RZ350's and here is the latest on eBay for you to consider. 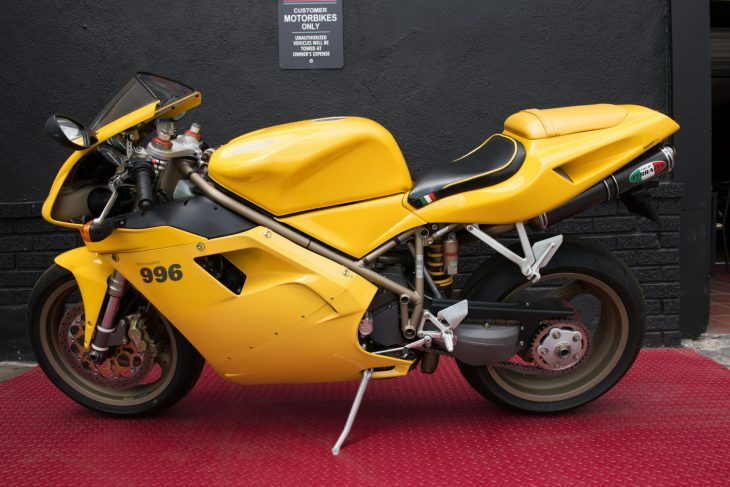 This one is located in Florida and the current bid hasn't reached reserve at $4301, though a buy-it-now is shown at $5500. 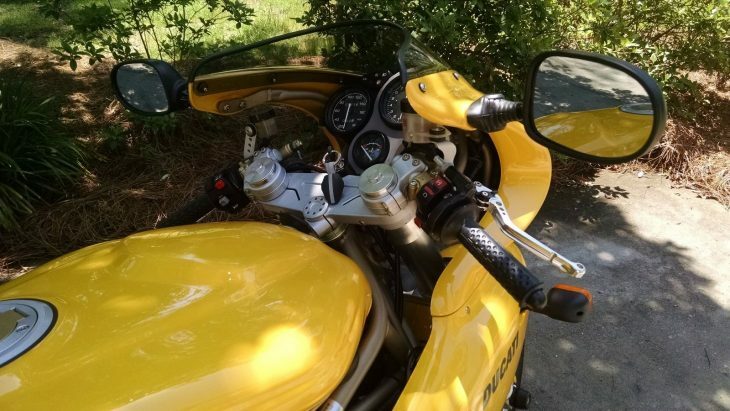 This bike doesn't have any major blemishes I can see in the pictures and the owner describes the bike as near show quality with nearly 12k miles. 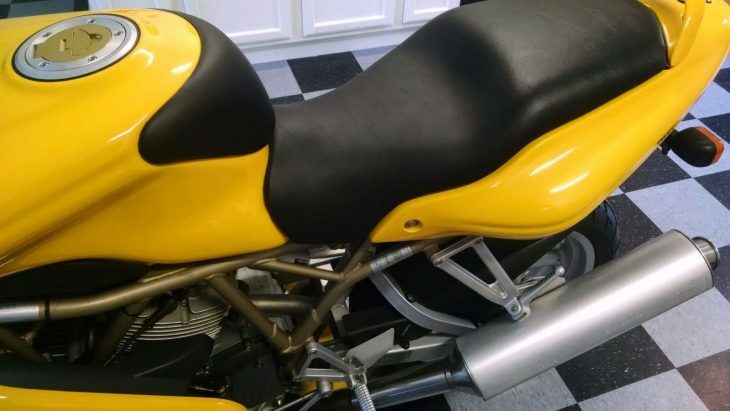 Place your bid here! 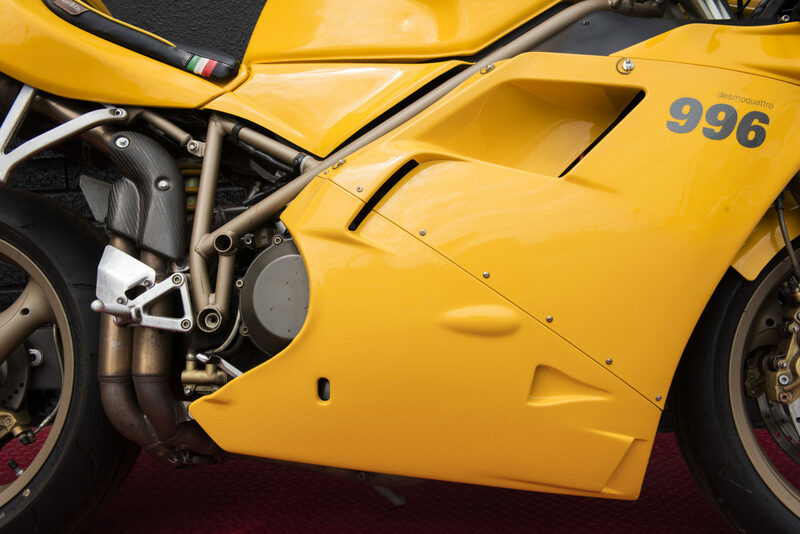 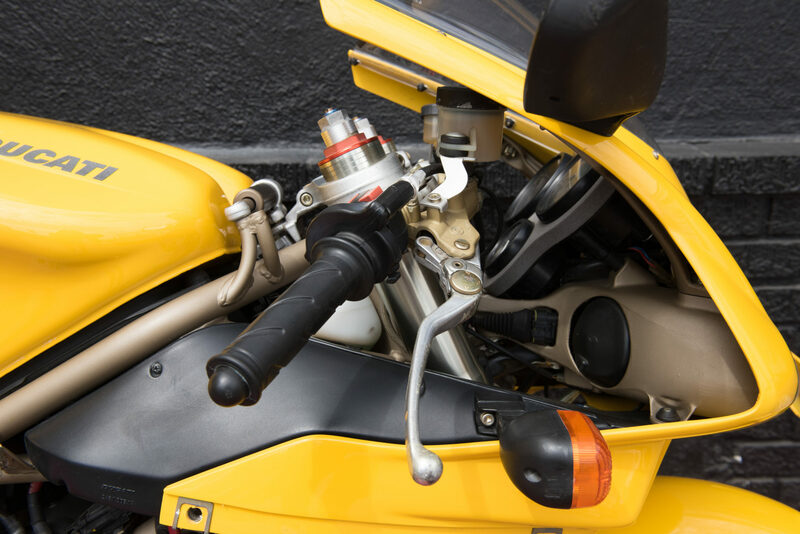 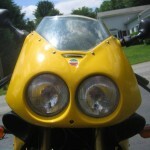 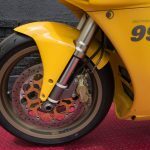 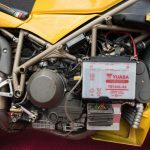 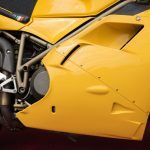 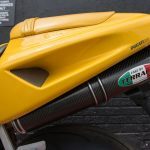 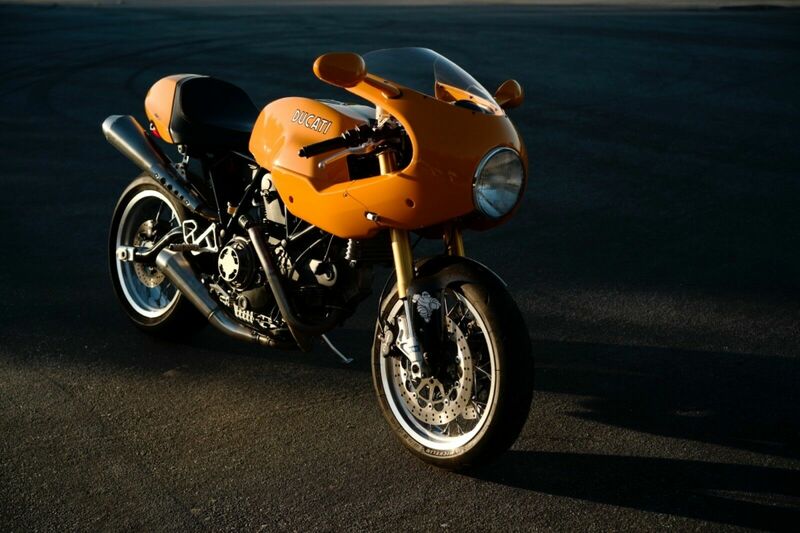 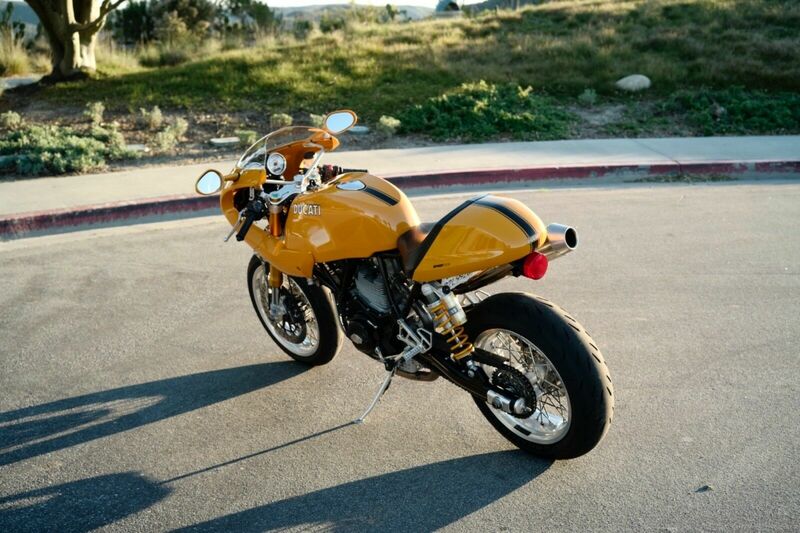 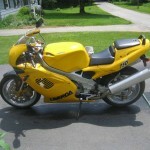 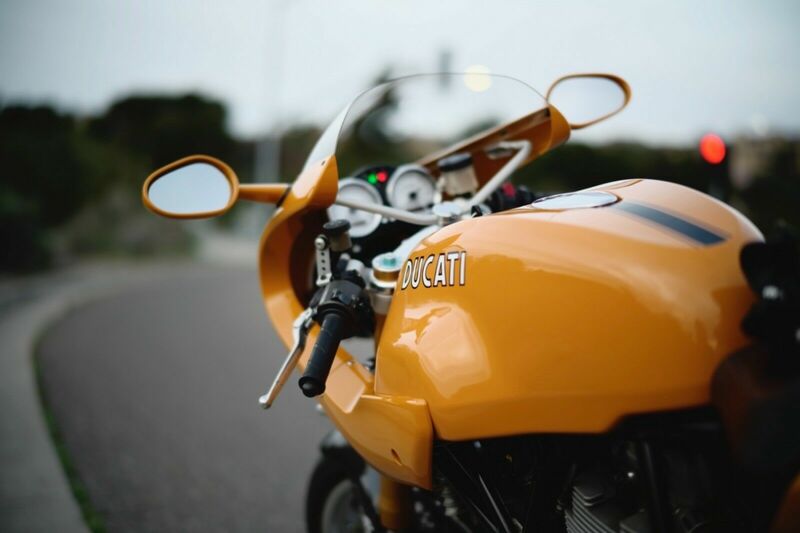 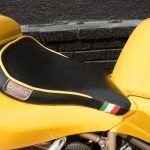 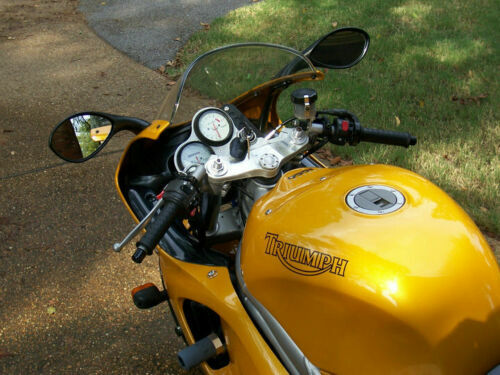 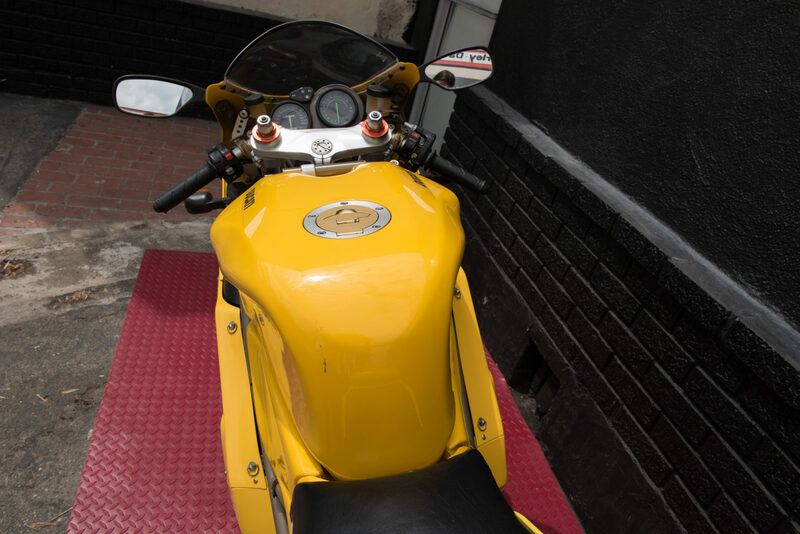 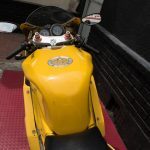 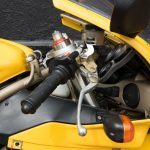 1999 yellow Laverda 750S for sale with low miles on ebay. 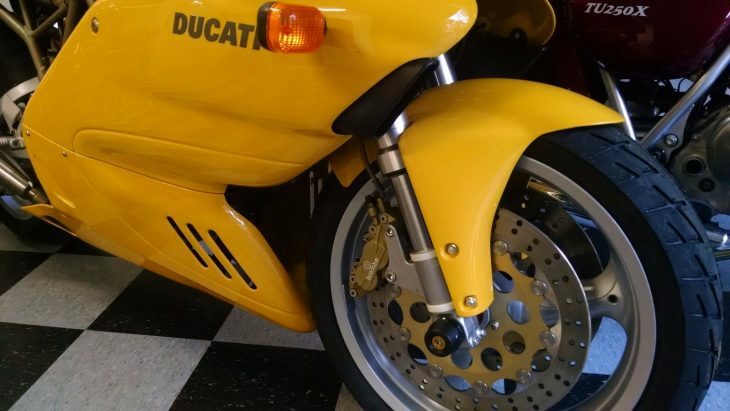 If you are looking at this ad, you know what this is. 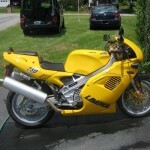 1999 Laverda 750 S in nice condition. 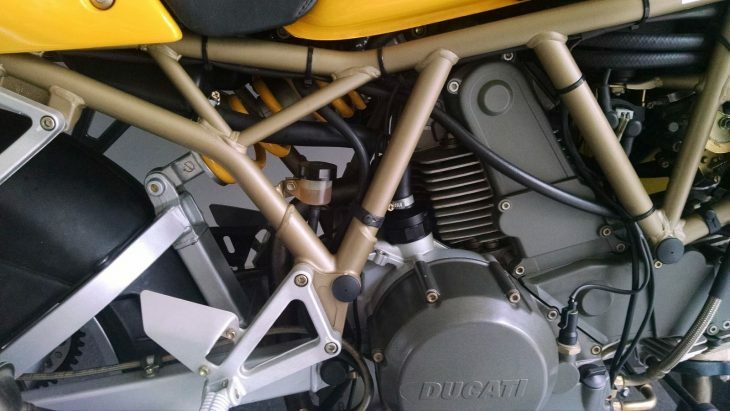 Recent tires, chain and lower ratio sprockets (15 vs 16 tooth front), VeniVidiVroom SS oil filter. 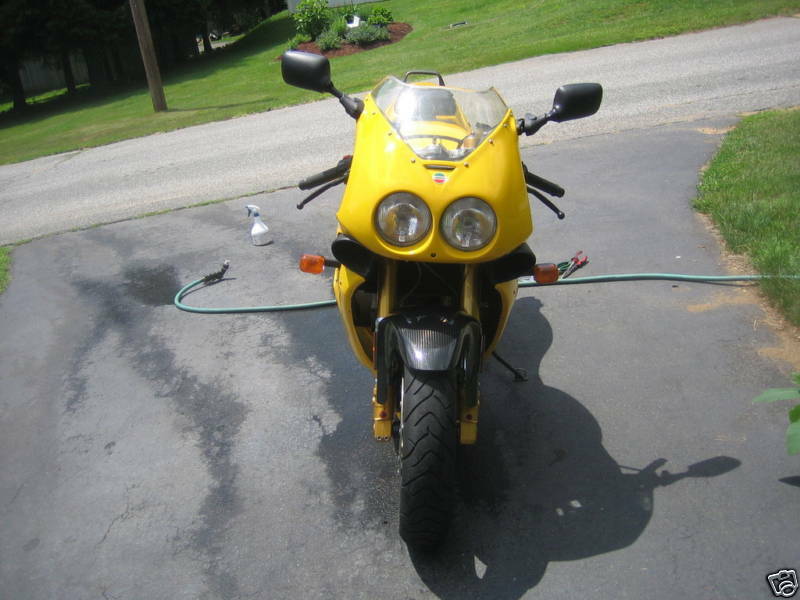 Runs great. 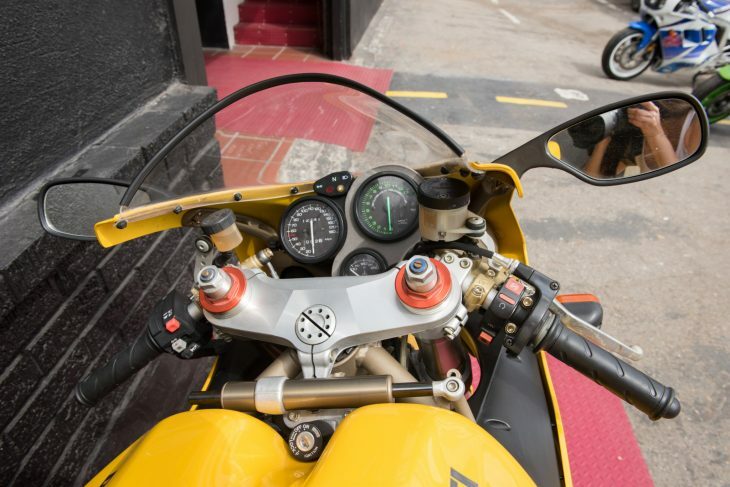 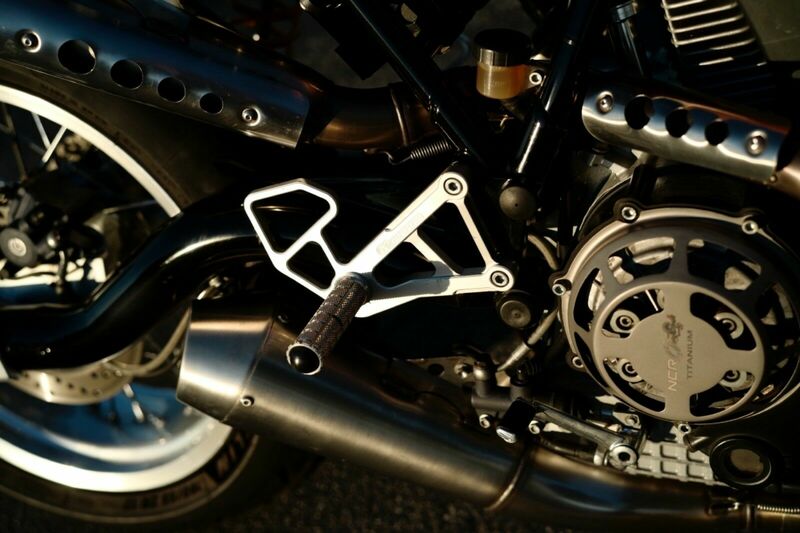 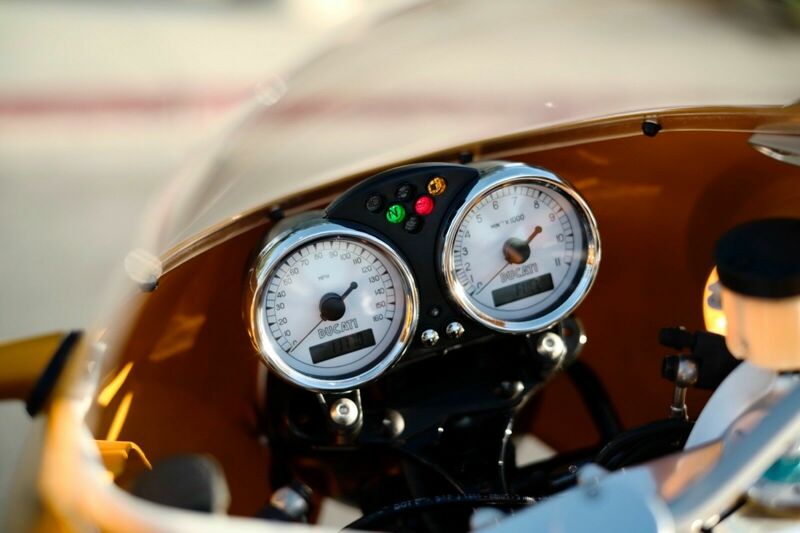 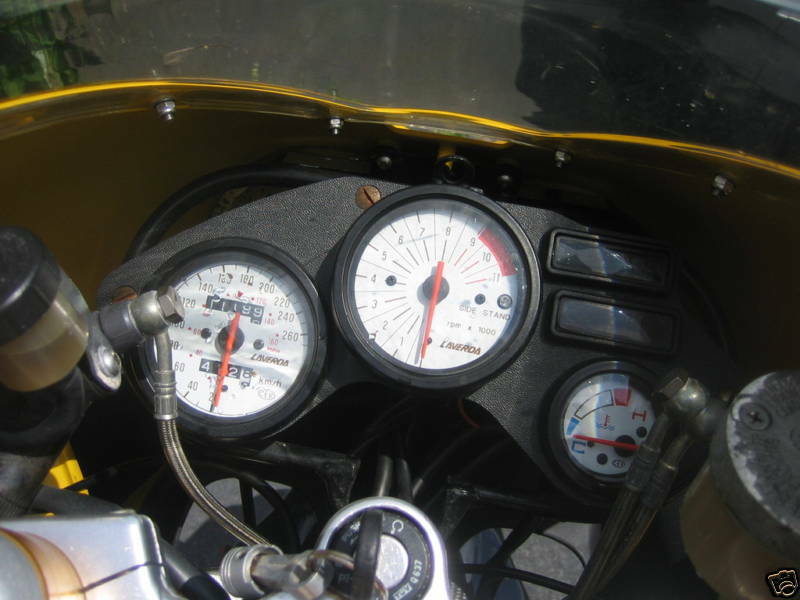 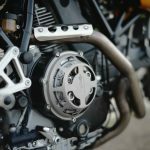 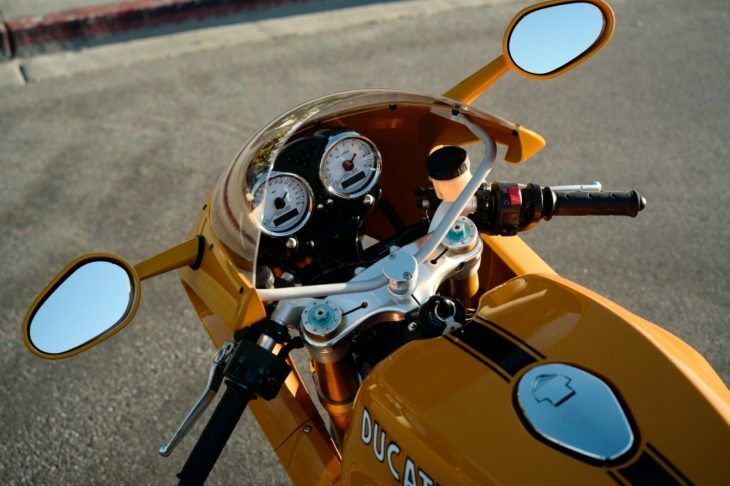 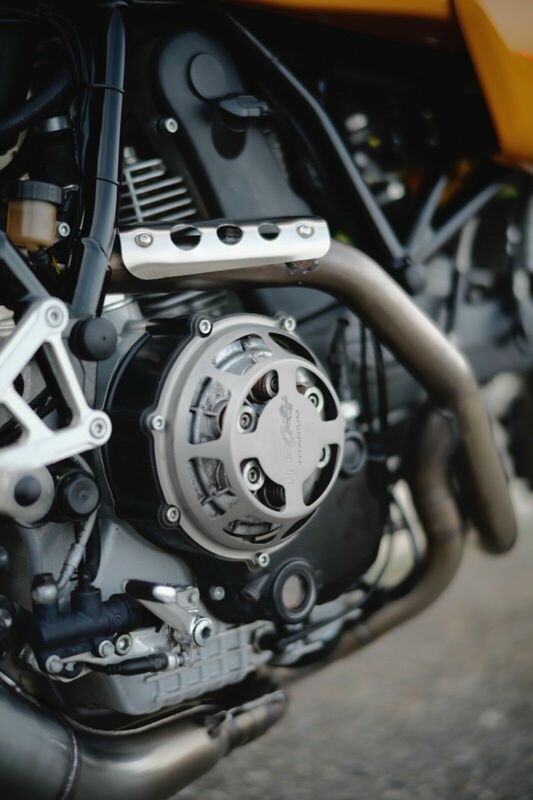 Periodically the tach will stop then start again, the bike continues to run fine. 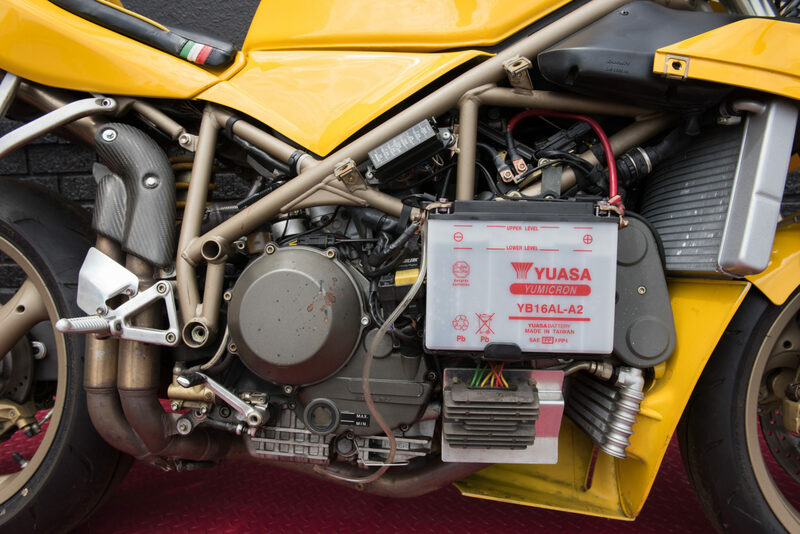 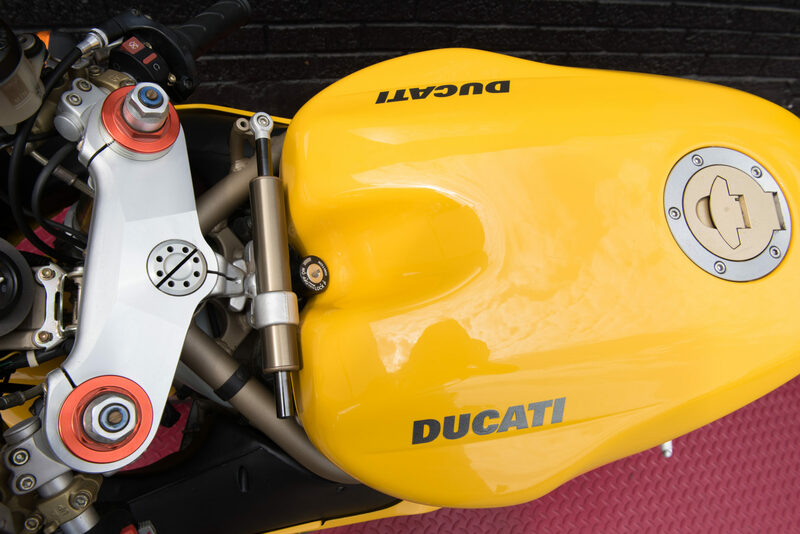 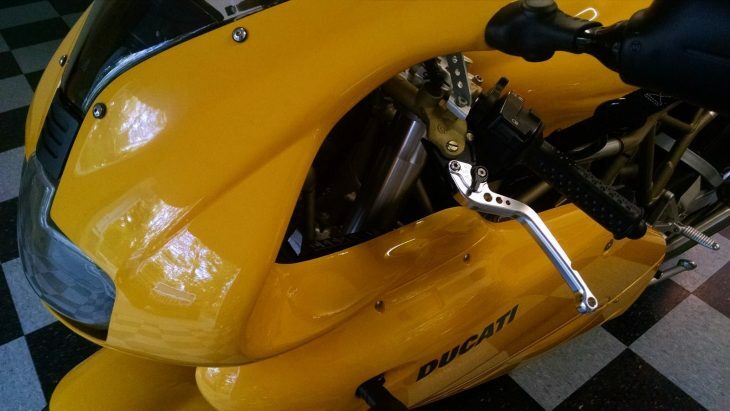 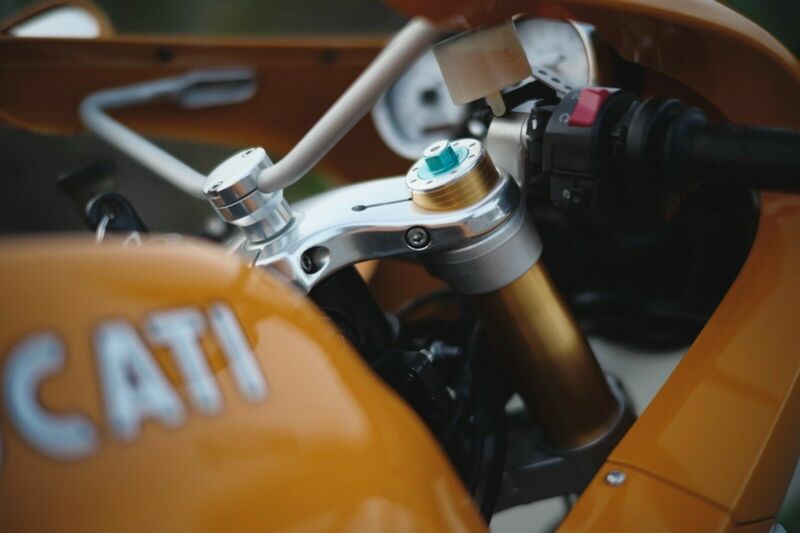 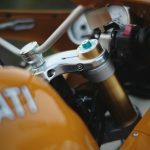 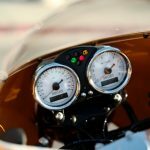 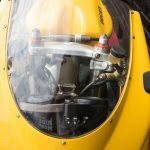 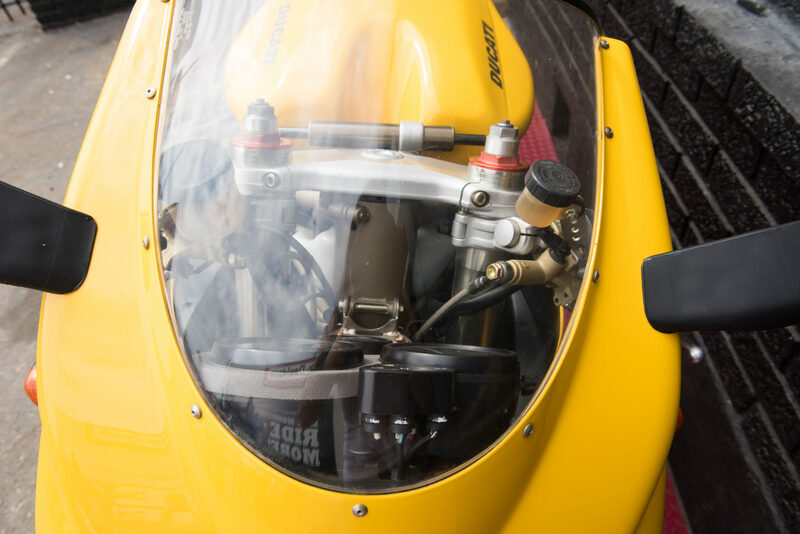 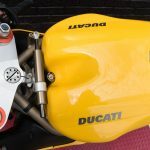 The tach and ignition module is the same as was in my Ducati ST2. 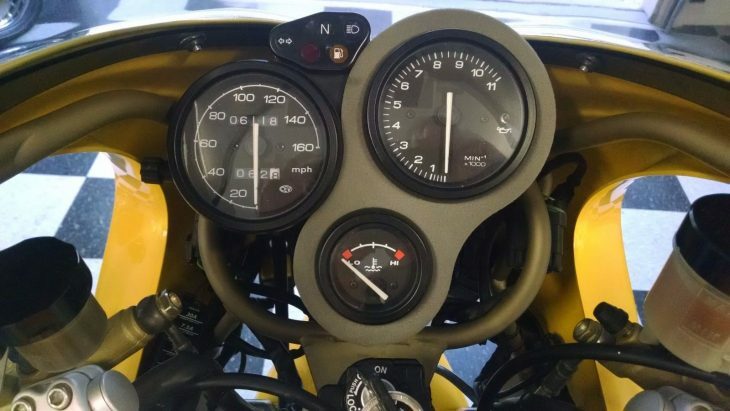 I think there is a loose wire in the tach. 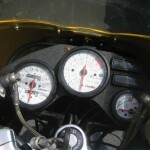 The gas cap is difficult to remove, the location doesn't help. 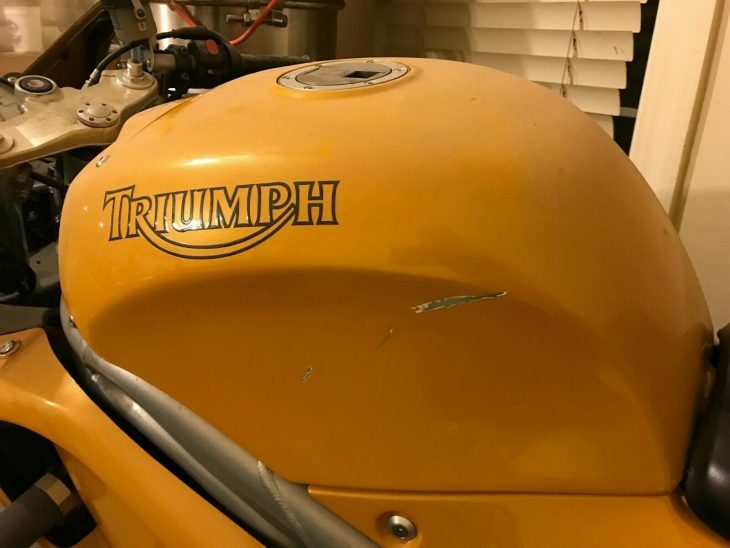 There are a few cosmetic scuffs from prior owner moving. 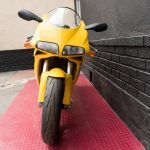 Too many bikes and relocation force reluctant sale. 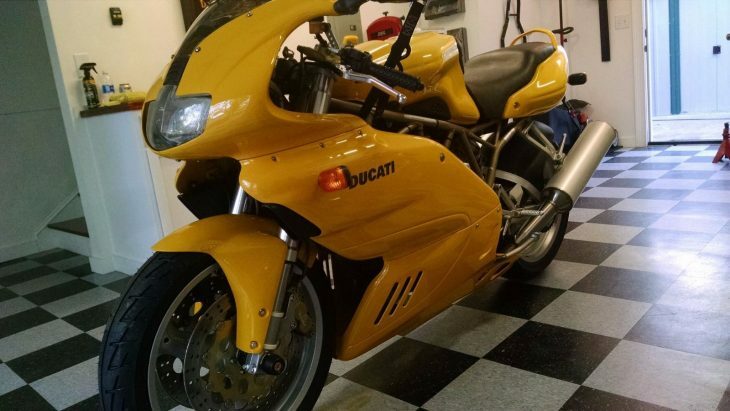 This is a great back road bike with terrific transitional handling and a power band more like a multi than a Ducati twin. 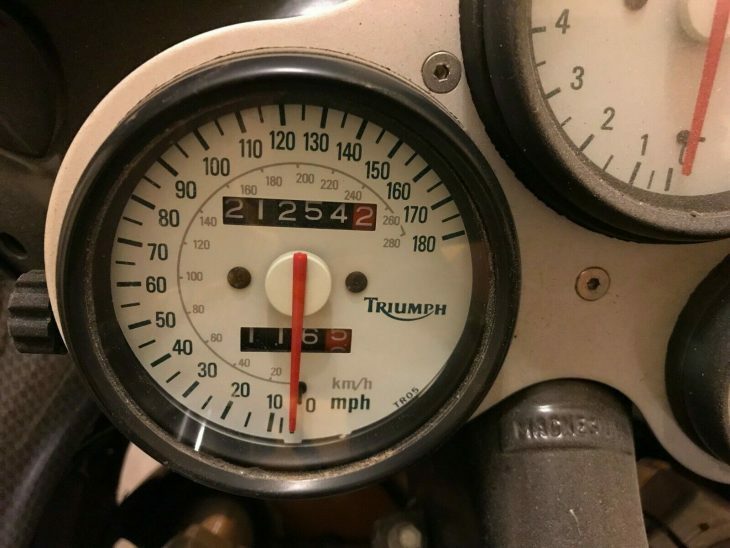 12154 K Kilometers. 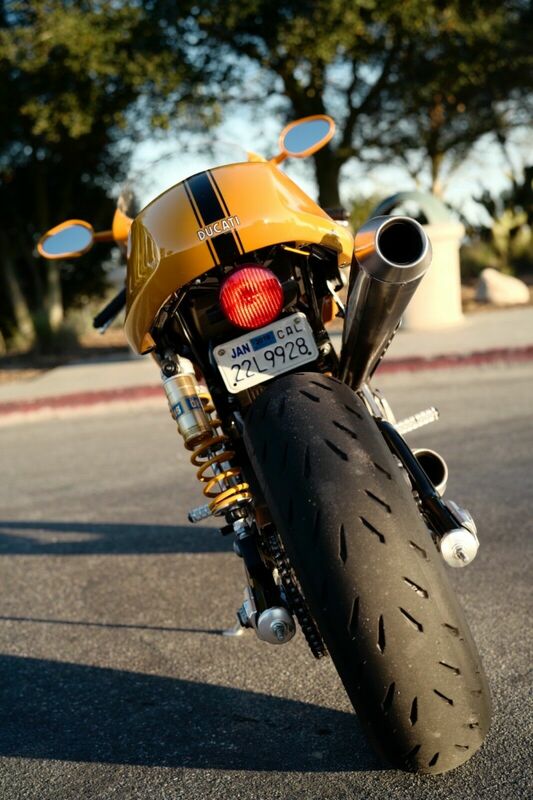 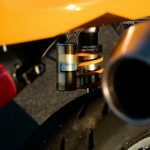 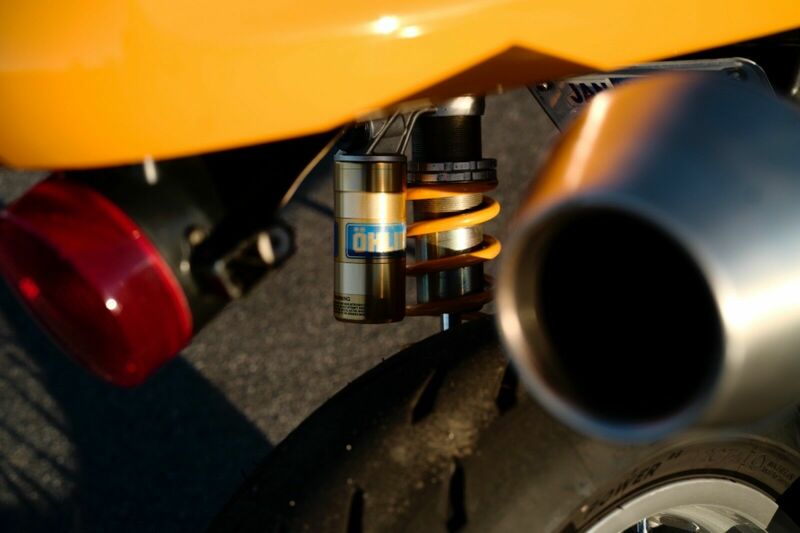 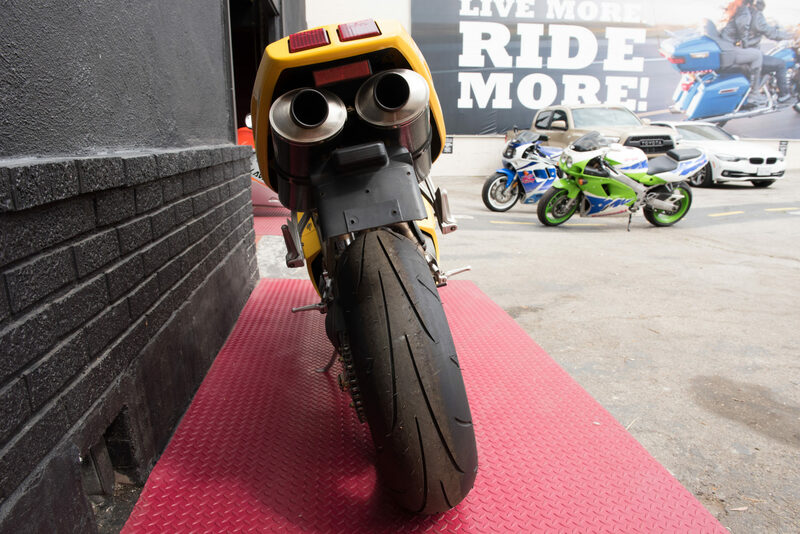 Stock exhaust but D&D offers alternative slip-ons which would give it the bark it deserves. 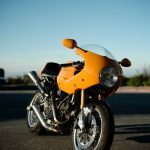 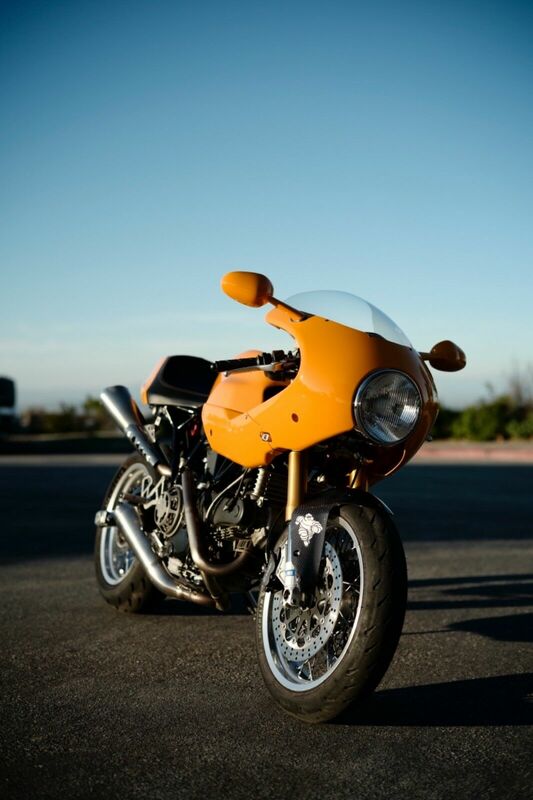 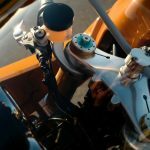 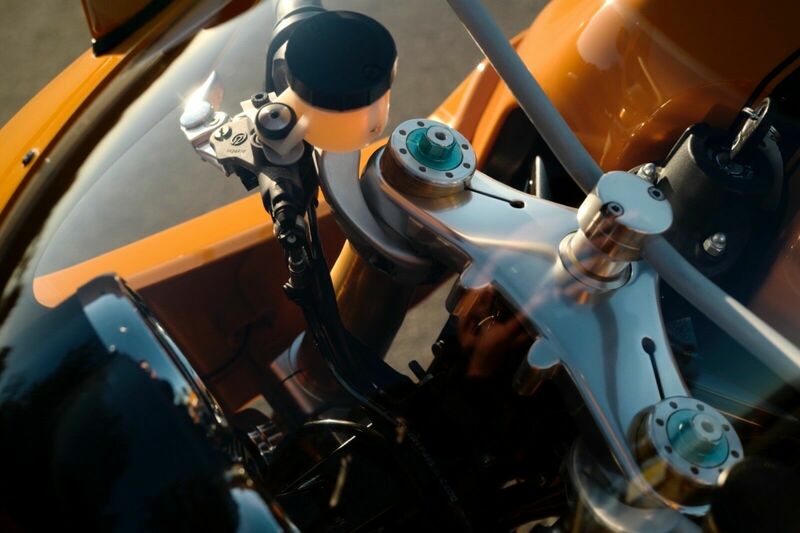 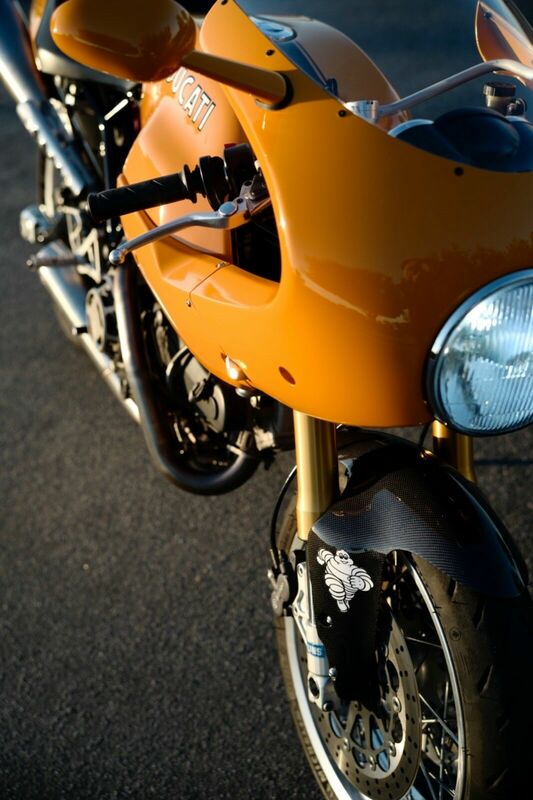 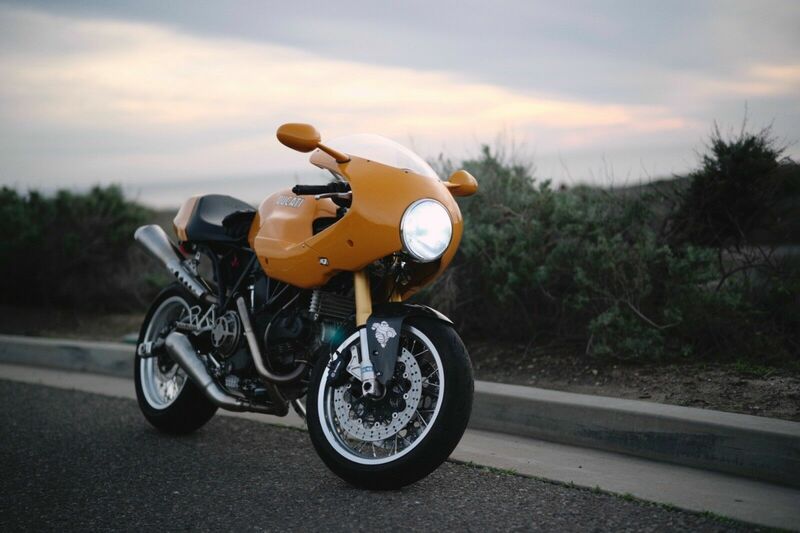 Click HERE and HERE for some good background reading on the Laverda 750S. 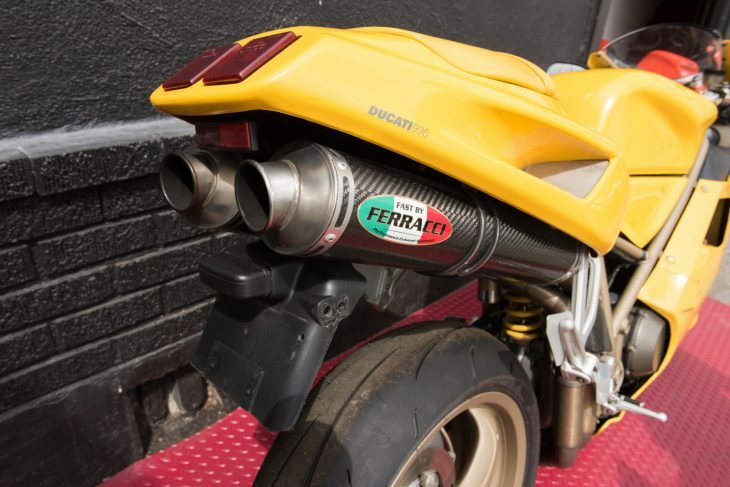 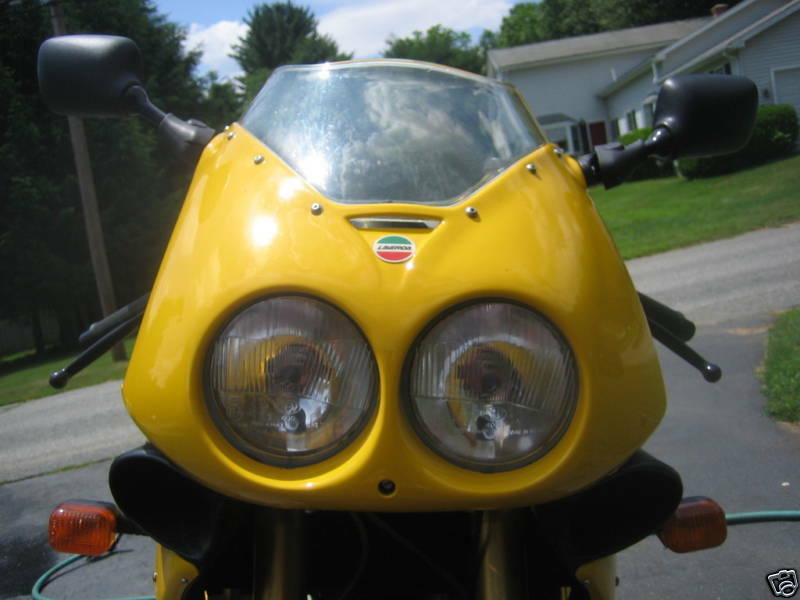 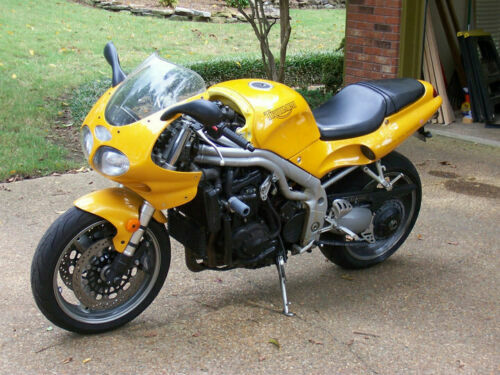 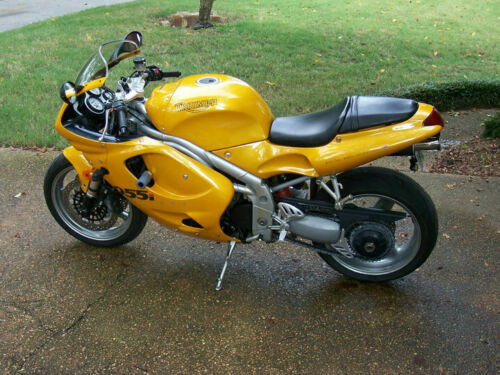 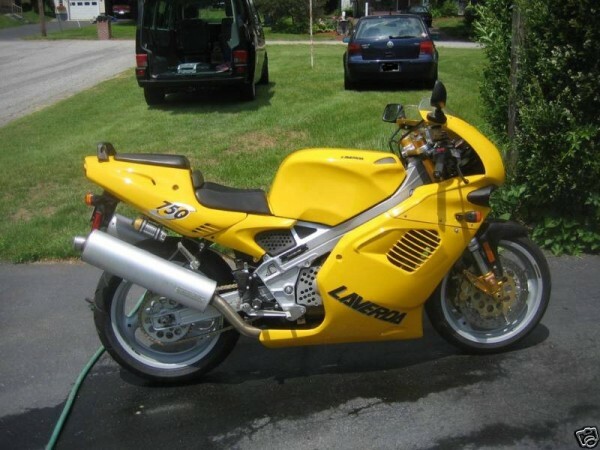 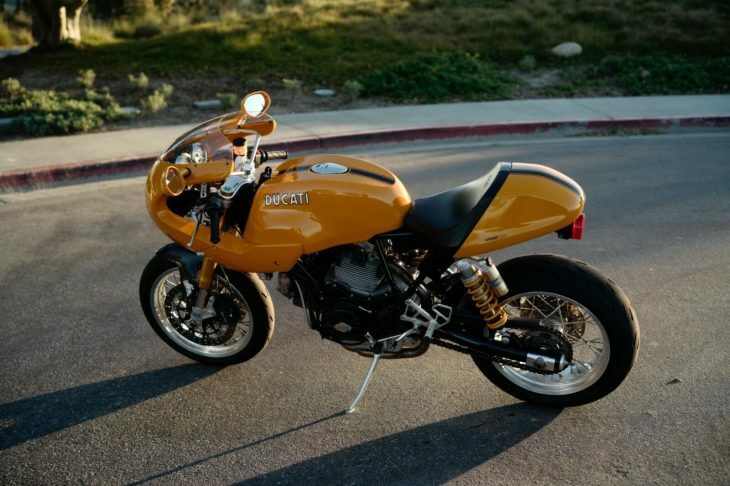 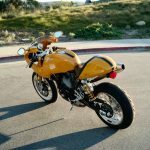 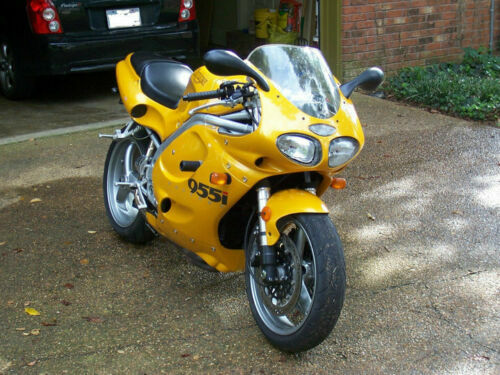 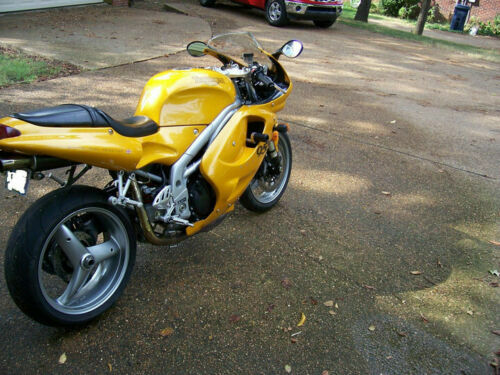 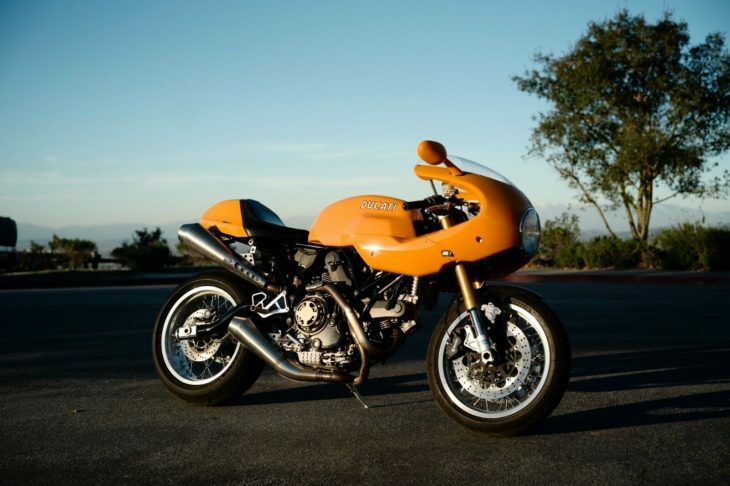 If you want an Italian sports bike for not a lot of money (I'm guessing this one can be had for cheap) and are sick of seeing Ducatis, this yellow Laverda 750S just might be your ticket. 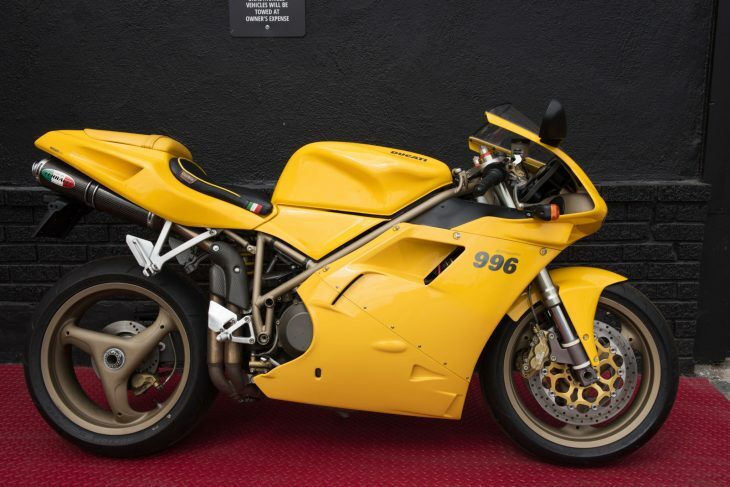 The current price is at $2091 with 11 hours to go - I would be very interested to see what it fetches at the end of the auction.